Reyes Roofing Contractors, LLC specializes in roofing installation and repair in Fairfax, VA.
Reyes Roofing Contractors, LLC is a family owned and operated roofing contractor business based in Fairfax, VA, serving the surrounding communities in Northern Virgina. We have over 20 years of experience in roofing installation and repair at reasonable prices. We are a certified CertainTeed SELECT ShingleMaster, CertainTeed Silver Star Contractor, EPA Lead-Safe Certified Firm, and Velux Five-Star Skylight Installer. We believe in using the highest quality roofing materials from the top manufacturers and guarantee our labor up to 10 years. All of Reyes Roofing Contractors, LLC employees are uniformed, drive marked vehicles, and are CertainTeed Certified Master Shingle Applicators. We take the time to listen to our clients to define their needs and provide them with the latest, most accurate product and technical knowledge so that they can make well informed decisions for their residential roofing and commercial roofing projects. 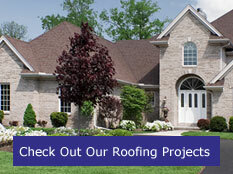 I would like to receive a free, no-obligation roofing estimate. 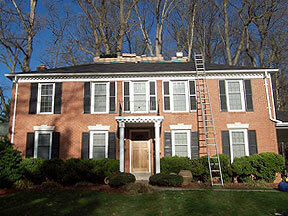 Contact us at Reyes Roofing Contractors, LLC with any of your roofing questions in Fairfax, VA.